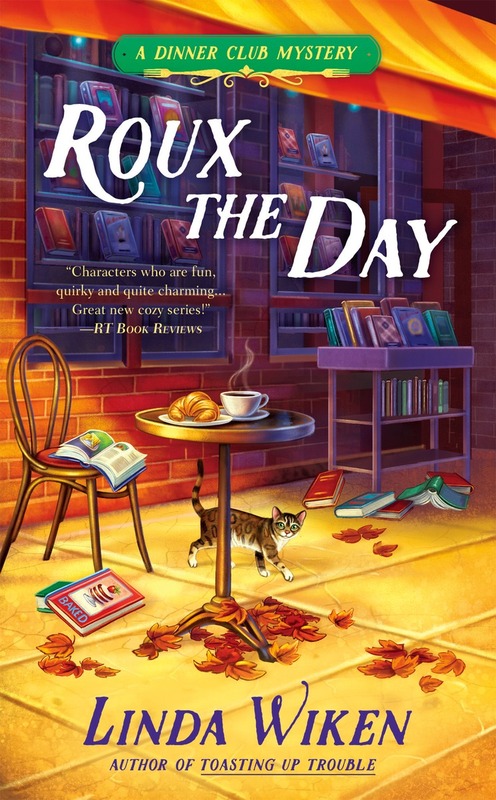 Killer Characters: Release Day for ROUX THE DAY! 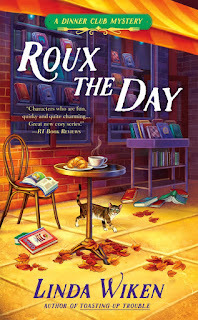 Release Day for ROUX THE DAY! Today’s the big day! Yay! Double yay! 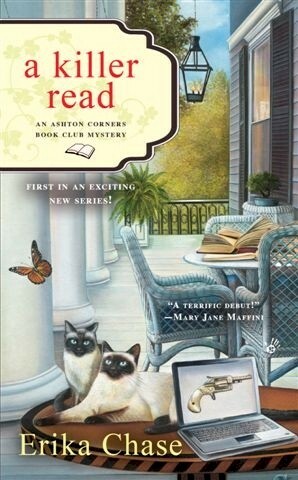 Because book #2 in the Dinner Club Mysteries is on the shelves at a bookstore near you. And also available online and as an ebook. That’s right, Roux the Day takes me and the Culinary Capers dinner club on another murderous adventure with lots of tasty food thrown in. 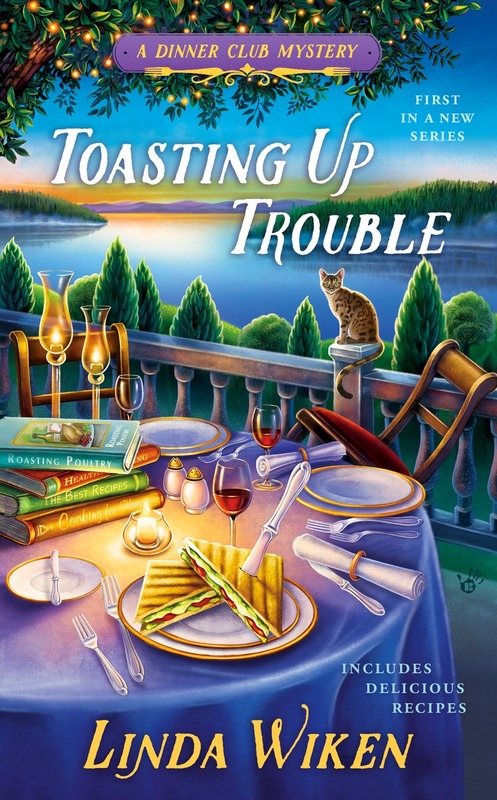 You know it’s yummy because the book we’ve chosen for our monthly meal is the Mystery Writers of America Cookbook and, since it’s a real book, no poison was used in the aforementioned murder. We’re also fortunate to include three recipes from the cookbook at the end of Roux the Day. These were dishes recreated by some of our gang and thoroughly enjoyed by all. They’re Chicken Gabriella by Sara Paretsky, Eggplant Caprese Salad with Basil Chiffonade and Olive Vinaigrette by Lisa King, and Fried Yellow Squash by Cathy Pickens. As I said, you’ll find these recipes at the back of Roux the Day but you’ll probably want to buy the cookbook to enjoy all that’s between the pages. And that murder I mentioned, it was one of the emcees I’d hired for the Casino Night Dinner Cruise, a fundraiser for a local literacy group. 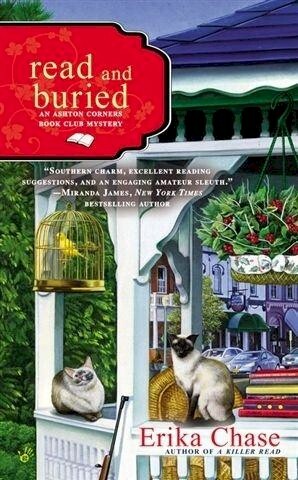 Miranda Myers was a well-known TV personality and equally-popular radio DJ, Connor Mac, is the prime suspect. Especially since he’d been engaged to her, had an argument with her on the cruise, and then disappears. Since he’s one of ours, the Culinary Capers investigate and we’re helped, much to my delight, by PI Ty Devine. 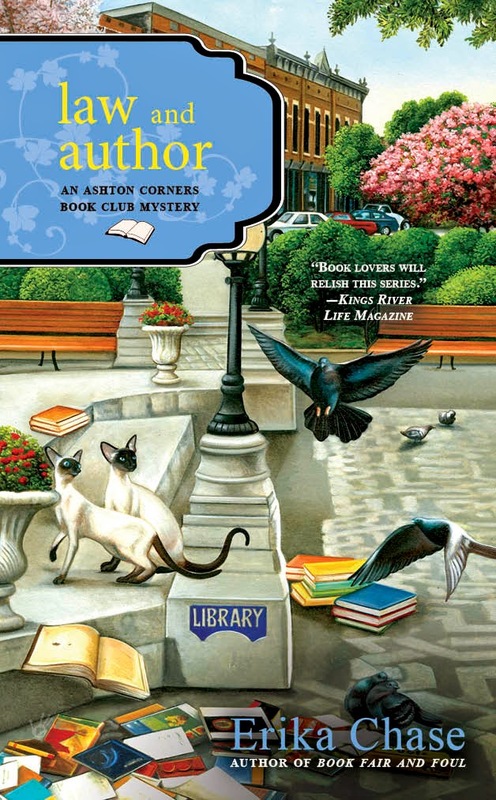 If you’d like to win a copy of Roux the Day, just leave a comment and tell me have you ever been or a cruise or would want to go on one? Remember to leave your email. Winner will be drawn on Wednesday, March 8th, noon PST. 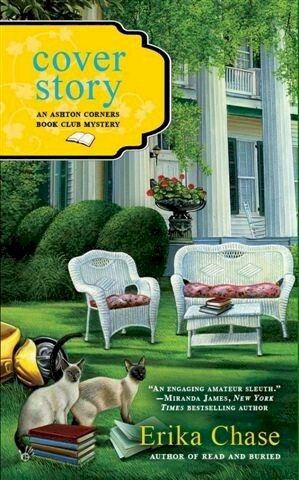 Happy happy happy happy book birthday!!!!!!!!!!!!!!!!!!!!! The only cruise I've ever been on was for a wedding on a dinner cruise, so we were only sailed around the bay. Not sure how I'd feel about a cruise that goes all the way out to sea. Happy New Release Day! Those can be quite wonderful. Thanks. Happy Release Day! I've never been on a cruise, but I would like to. THanks for commenting, Karen. I hope you get to go on one. Thanks for the comment. I would, also! Sounds like you're hooked, Celia. Thanks for commenting. I have never been on a cruise. Only the Northern ones sound attractive to me. I would love to see the Northern lights. Wouldn't that be great! THanks, Connie. I hear it's quite wonderful. Thanks for commenting. Can you see me throwing the confetti in the air from there? 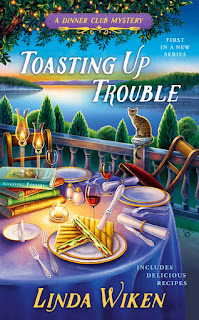 I am celebrating your Book Release Day! Congratulations! You have accomplished a great deal. And thank you for writing. Thanks so much, Annette. I appreciate this! I've never been on a cruise but I'd really love to go on one. Hope you get to, Sue. Thanks. Have been on two cruises. Understand, Libby. Thanks for leaving a comment. Never been on a cruise, but it sounds delightful, especially with the weather we've been having in the UP! I'm with you on the weather bit, Barb. Thanks for commenting. Thanks for taking time to comment, Donamae! I've heard a lot of people talk about the food on cruises. Sounds amazing. Thanks for commenting. Happy release day! Yes, I have always wanted to go on a cruise but it has to be tropical! Lol. Definitely a bucket list item which my husband has no interest in so I have to find someone to drag along. Happy release day!!!! I have never been on a cruise, and I am not sure if I would ever want to. I have nothing against them, but there are several adventures I'd rather go on. Thank you for the chance to win! We took my parents on a Caribbean cruise - they loved it. My favorite cruise to date is the one we took to Alaska. Going on a cruise is on my bucket list! I would love to visit Bermuda, Bahamas, Aruba, etc. The only cruise I've been on was on The Delta Queen on the Mississippi River. It was one of the best vacations I've ever had. It was a small boat and it was a really great time. I would like ti go on a cruise to Alaska and Hawaii. I've never been on a cruise but my bucket list includes a cruise to Alaska. Went on a Cruise and We left in a storm. It is kind of funny now but people really do turn green at least I did...the next day was better. Food was great and the comedy routines were good. Thank you for a chance. Going on a cruise is on my bucket list. I've gone on a few cruises. they can be quite relaxing and the ports of call interesting. although some people never get off of the ship. I have never been on a cruise and don't want to because I get seasick when boats are docked. I have never been on a cruise but I heard that Disney cruises are amazing! I have never been on a cruise, but think I would like to do one...where you whale watch..a girl friend did this once and loved it.